As marketers, we are very familiar with the feeling that our work is only just beginning when the content is ready. Sharing and promoting a story is what guarantees a good return on your investment and it should be taken seriously. Imagine that you’ve created an all-star blog post and posted it on your website. How will your audience read, like and share if they can’t find it? This is why an effective content distribution strategy is essential. Among an array of content distribution channels and tools, social media is perhaps one of the most mainstream and powerful, yet is most effective when used smartly. Your content distribution plan should ultimately reflect and align with your marketing strategy, purpose of the campaign, target audience and their pain points. To help you reach your audience and boost your clicks and conversions, we’ve gathered some tips that you can benefit for effective distribution of your content. Defining your goals in line with your content marketing strategy will let you know how to evaluate the results of your social media output. Do you want to promote your brand, announce a campaign, generate more leads, draw visitors to another content channel, or something else? You don’t go fishing armed with bear traps, so first decide what you’re after, and then work with the appropriate tools to get it. When you know what you want to achieve, you can create your social media assets to focus on that message. Where do your potential customers hang out? Do a thorough research on the demographic and psychographic characteristics of your current and prospective customers. This will help you to figure out the best tone of voice and which social media channels are best to invest your time and sources in. If your audience is not on Facebook or Instagram, just skip these channels and focus on those that they pay attention to. Look out for what they are sharing, who they are following and the activities they engage in. Good research will give you an idea of their pain points and needs, which will show you how to communicate your messages. We talked about the importance of content tailored to the target audience in our Introduction to B2B Inbound Marketing eBook, and we’ll say it once again: the better you know who you’re talking to, the better you can adjust your message so they’ll listen. There is a vast array of social media channels you could use for content distribution, but this doesn’t mean you should be present in all platforms. You should decide which channels are best to connect with your target audience and align with your business goals. If you have a B2B business selling software to companies, Linkedin might be a better channel to promote your content. On the other hand, if you have a business focused on travel and tourism, you might go for Instagram and Youtube, as they are more visual focused and have a different audience. A good idea is to publish and promote your content initially on the channel you have the most presence in. If you already have a larger following on Facebook for example, you can start by promoting it on this network to build up momentum faster. Ensure that your objectives are SMART: specific, measurable, attainable, relevant and time based. Your objectives should be aligned with your business goals and you should track the results to see if your efforts are successful and that you are on the right track. If you are targeting to increase brand awareness, you might aim to increase your brand mentions by 50% on Twitter for example. Or in a case where you are targeting to increase sales, you might set a goal to generate an additional 100 leads per month from social media activity. Make sure your KPI’s are achievable and have a deadline, as this will help you define your measures of success. Do you have a favorite coffee shop where the smiling barista makes your morning? We are social beings - we yearn for emotional connections with others, no matter how shallow or brief. This can be your company’s strongest weapon when it comes to content marketing. Show your audience you’re made of flesh and bone – don’t sound like a robot on your social media accounts. Tell stories, be entertaining and don’t forget to engage with your audience to build relationships, not only address them as a means to reach an objective. ✔ Include click to tweets in your content - it’s very convenient for your readers! ✔ Post multiple times on your channels - don’t be afraid to reshare a blog post on a regular basis - you might get new followers along the way! ✔ Repost on different platforms and in different formats - make a Slideshare presentation of your ebooks, or tutorial video for Youtube - because why not? You’ll be reaching out to a larger audience. ✔ Use mentions and hashtags on Twitter! Tag influencers that might be interested in your content or if you talk about them in your piece. Let them know! ✔ Share on forums, networking groups or other websites. Find platforms that appeal to your audience and niche and let them know! 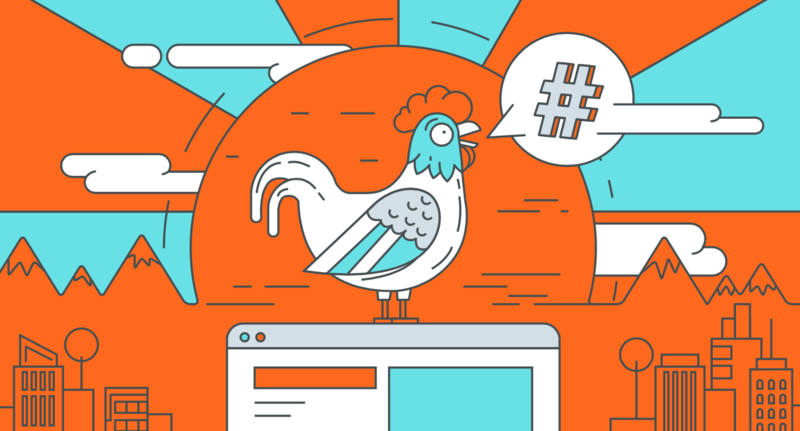 Hungry for more tips on social media for content marketing? 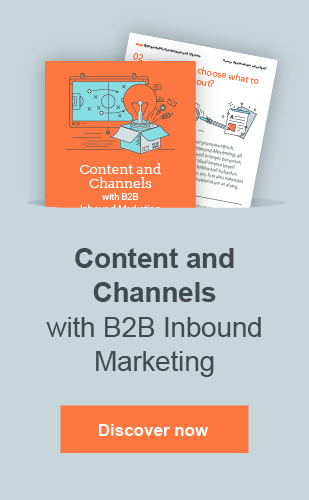 You can find more, along with advice for other channels like email marketing and blogging, in our free eBook B2B Inbound Marketing Content and Channels. Thinking about launching a killer content marketing campaign? Contact us, and we’ll help with everything from content to promotion.